Mary and Alex had the very first wedding at Norfolk's fabulous The Main Hilton and it was one for the books. 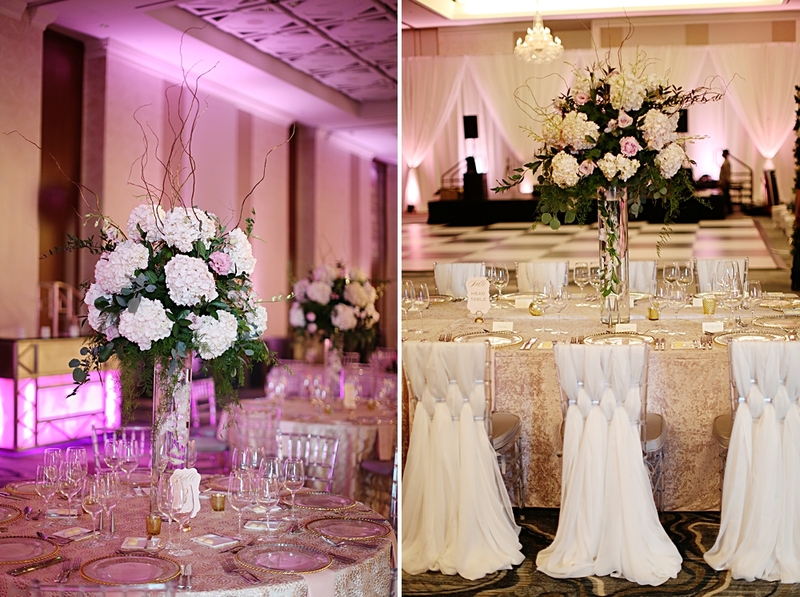 Reva Stein coordinated this wedding wonderland from soup to nuts and it was simply flawless. Black Iris Florals, Stage Right Lighting and Distinctive Event Rentals created a jaw dropping eventscape (I had to pinch myself when I walked into the ballroom) (The floral wall! The clear chiavari chairs! The beautiful lighting!). Kim Wadsworth made Mary glow even more than she usually does, no small task because Mary is a stunner, as you'll see. We sneaked away to the Presidential Suite for lovely portraits, and took advantage of the Customs House for some really fun group photos. I was so thrilled to see The Main in action on a VERY busy day (Virginia Wine Festival, Norfolk State's Graduation) and it is easily a top wedding venue and on my list of local favorites forever. The ceremony was at beautiful First Presbyterian in Norfolk, where I was married twenty three years ago. It's always a joy to return there for a wedding. Lastly, forgive the six million room decor shots, but when a venue looks this amazing it's hard to resist. Bravo to the stellar team of vendors headed by the inimitable Reva Stein. Corey at Visionquest filmed the event, and I can't wait to see the film because Alex is a fantastic, fantastic dancer and it will be so fun to watch him cut a rug so spectacularly again. A special thanks to Mia Byrd who second shot for me, you're the best Mia! And Mary and Alex, thank you so much for including me in your magical day. Your graciousness and pure joy are inspirational.